For most U-Sports hockey players, getting invited to an NHL camp is a rare feat. NHL teams like to invite junior-aged players around the age of 18-20 to camps as prospects because they have time to grow into potential NHL players. U-Sports players are usually 21-years-old and older so they don’t fit that description. Only the best players get invited to NHL camps. That opportunity happened for Tiger’s goaltender Corbin Boes, who was invited to the Detroit Red Wings camp last month. “I guess it is not often that the guys that go from major junior to Canadian university get another opportunity,” said Boes. 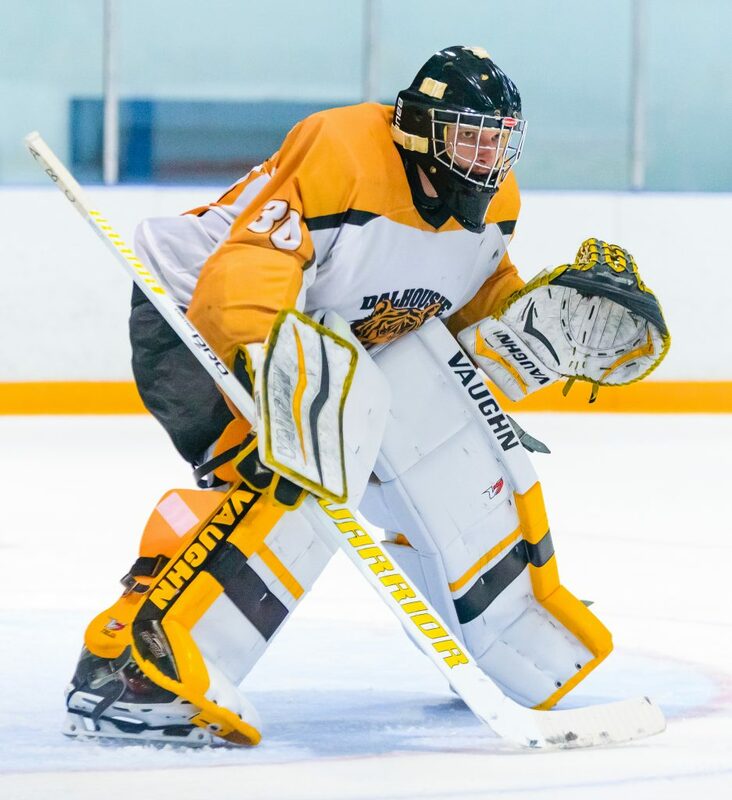 Boes has participated in development camps for the Calgary Flames and Winnipeg Jets in junior hockey, but those camps are in July and only the prospects are there. This is the first time Boes got to participate in a training camp that mixes the prospects with the regular NHL players; Boes mentioned he got to face and stop NHL shooters like Dylan Larkin, Reilly Sheahan and Gustav Nyquist. Boes started his time with the Red Wings as a part of the rookie tournament roster. He didn’t end up playing in the tournament, but he stayed for the first four days of camp before being cut. Boes was told that would be the case beforehand and wasn’t disappointed by it. For the past two seasons, Boes thought he was playing the best hockey of his life. In both seasons, he led the AUS in save percentage and was named to the U-Sports all-star team that plays exhibition games against the Canadian National Junior Team. During the 2016/17 winter break, Boes broke his ankle in an off-ice accident that kept him off the ice for the rest of the season with an injury. Not being able to participate in hockey let Boes appreciate the game more, and made him more determined to peruse a pro-hockey opportunity. At the camp Boes learned about how it important it is to get the proper sleep, eat the proper food and how to physically and mentally prepare himself for games. On the ice, he got some tips on post play and angling his body properly to stop shooters off- the wing. “It’s a lot of minor things that make a difference in your game,” said Boes. Since he left the camp Boes says he gained confidence from it but doesn’t think about it too much. He tries to stay focused to be the best goalie he can be for the Tigers. Boes is grateful that he got a chance to be at the Red Wings camp because Detroit has been one of the best teams in the league; last year was their first season they did not make the playoffs in 25 years.